Unfortunately you won’t be able to take Professor Gary Radke’s class called “Leonardo da Vinci: Artist and Engineer,” because he’s retiring this year after 35 years teaching art history at Syracuse. But if every professor here is as engaging as Gary, you’ll be in great hands. I had the good fortune to sit next to Gary at lunch during my visit to Syracuse and he helped me think about the kinds of students who could end up enjoying Art History, even if they haven’t had any exposure to it. Are you visual? Do you like learning about historical context? Do you like piecing puzzles together with sometimes limited clues? Art History may be for you! Founded in 1870, Syracuse University was the first school to offer a degree in art. It was also the first to admit women, and among the first schools of architecture and journalism. Today, Syracuse has nearly 13,000 undergraduates on its upstate New York campus, with nearly 200 majors and 100 minors. Well-known for programs in film, communication and business/entrepreneurship, Syracuse admits students by college; applicants can list as many as three colleges in which they are interested when applying. Syracuse does have a liberal arts core curriculum, so all students will take classes in the College of Arts & Sciences. NBC’s Bob Costas is a Newhouse alum, which gives Syracuse students the chance to intern at the Olympic Games. 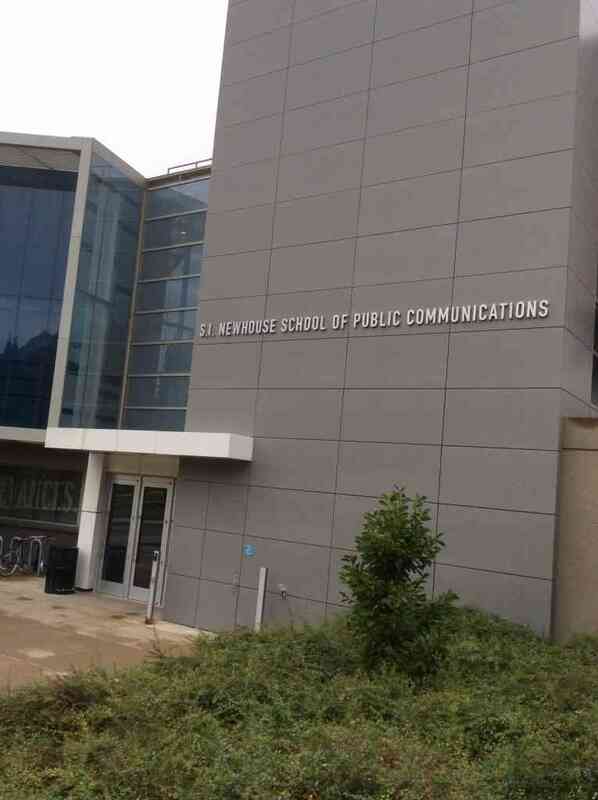 The Newhouse School of Communication has 2 student run TV stations and 2 public relations agencies. Majors include advertising, PR, TV/radio/film, graphic design, photojournalism, scriptwriting, and film criticism. A Global Journalism program is in development. The program focuses on writing and presentation skills and grants a Bachelor of Science degree. Students are required to submit a portfolio after their second year. About 1,900 students study at Newhouse. 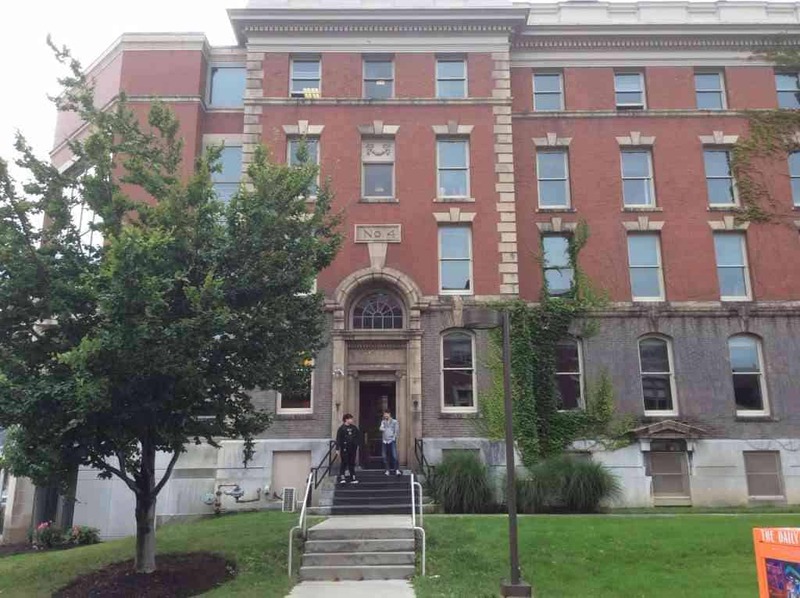 Syracuse is one of the colleges that “supplies” the communications industry in New York City, which is about 4 hours by car and 5 hours by train. “Whitman is phenomenally good at getting students jobs,” says visiting professor Will Geoghegan. Whitman School of Management students all take core classes their first year, and do a business game simulation their sophomore year. Many business students go abroad, and complete their study with a capstone report. Students also get their advanced Excel certification during the first year. The Falk College of Sport and Human Dynamics offers an interesting array of disciplines, including nutrition, public health, social work and sport management. The College of Visual and Performing Arts offers BA and BFA degrees in 33 undergrad majors, including art, design, drama, music, film, computer animation, art video, art education, painting/printmaking, and sculpture. A portfolio is required for admission. There are also the Colleges of Arts and Sciences and Engineering, as well as the School of Information Studies, which looks for innovative, entrepreneurial students for their interdisciplinary data and technology programs. It’s hard to talk about Syracuse without talking about school spirit and social life. About 30% of the students join Greek organizations, although about half of them are professional or community service groups. The sports culture is prevalent here, with basketball and lacrosse engendering the strongest student support. Syracuse was named the “top party school” in 2014 by the Princeton Review, a designation students celebrated, but which evoked this humorless response from the University’s chancellor. More information about Syracuse is available here. You can see all of my photos from my visit to Syracuse here. Admissions stats: SAT CR 500-620; M 540-650; Wr 520-630. ACT Composite 23-28.